Let’s be real, even the cutest and sweetest babies get fussy at times. 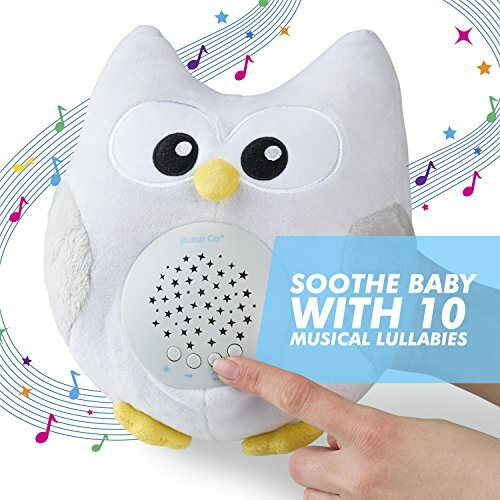 And in those moments when you’re exhausted and trying to do ten other things at once, our Bubzi Soothing Owl may be just the solution you are looking for to comfort and entertain your darling baby when you need it most. After all, we all could use a helpful sidekick to save the day once in awhile. Our super soft soothing owl is hand washable. Plus, it’s battery operated so you can take it anywhere, even while traveling in a car. Batteries and a screw driver are also included with your purchase. 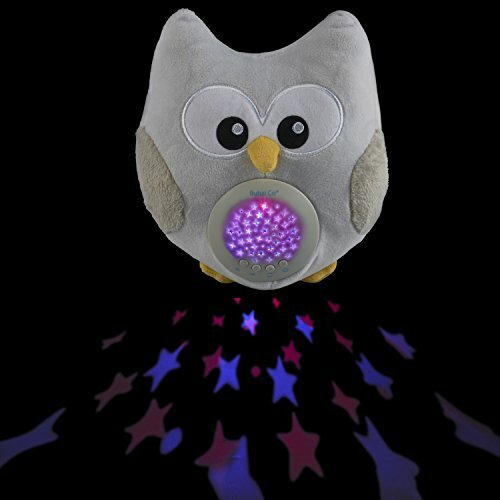 Our Bubzi Co ® Soothing Sleep Owl also includes soft LED night lights that project stars onto your child’s wall or ceiling. The music and lights will automatically turn off after 30 minutes. You can also adjust the volume, and turn off the lights without interfering with the music. 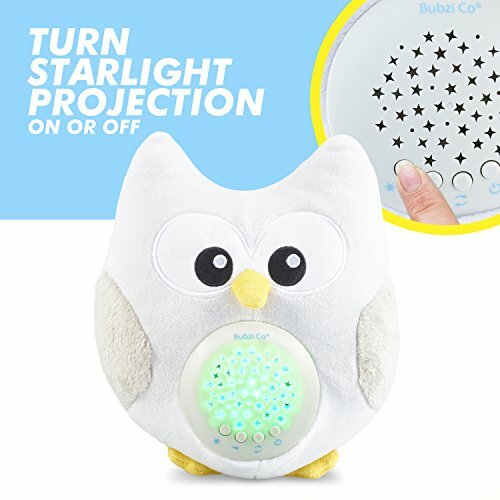 Just remove the plastic projector from our Bubzi Co ® Soothing Sleep Owl’s tummy. Then, open the battery compartment with the included screwdriver, and insert the AAA batteries that were also included with your purchase. 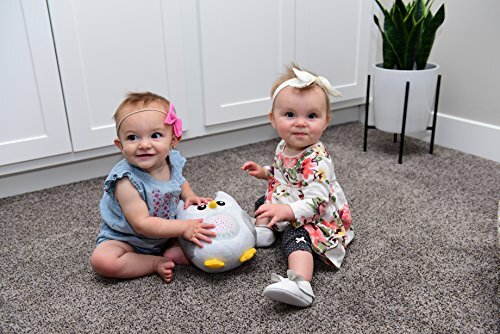 PLAYS TEN DIFFERENT LULLABIES AND TURNS OFF AFTER 30 MINUTES – Your baby will enjoy a range of gently lullabies including Minuet, Baa Baa Black Sheep and natural bird song as well as a heartbeat sound. 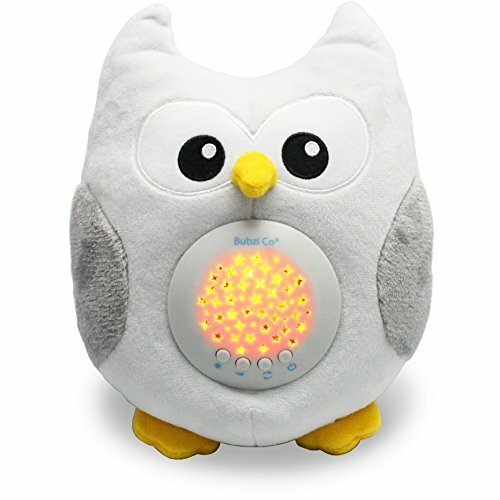 Plus, our Soothing Sleep Owl makes your job easier by turning off automatically after 30 minutes when your baby is asleep. 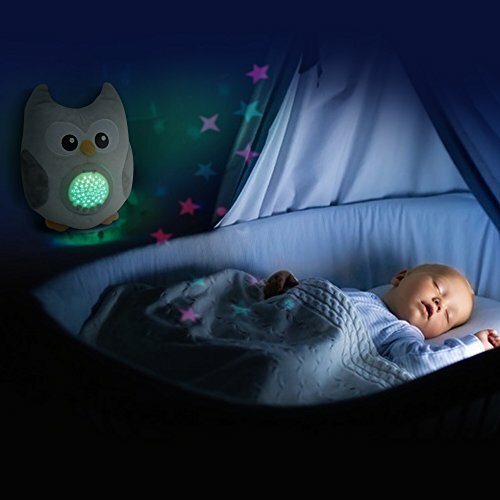 SOFT NIGHT LIGHT TO COMFORT YOUR BABY IN THE DARK – Press the light button to project a colorful galaxy of stars on the wall or ceiling in darkness. The light projection slowly fades into different colors to capture your baby’s attention and help to soothe them to sleep. PERFECT FOR CAR RIDES, WALKS IN THE STROLLER, AND EVEN PHOTOSHOOTS! Our battery-operated soothing owl toy with a Velcro strap makes it super easy and portable to take with you anywhere. 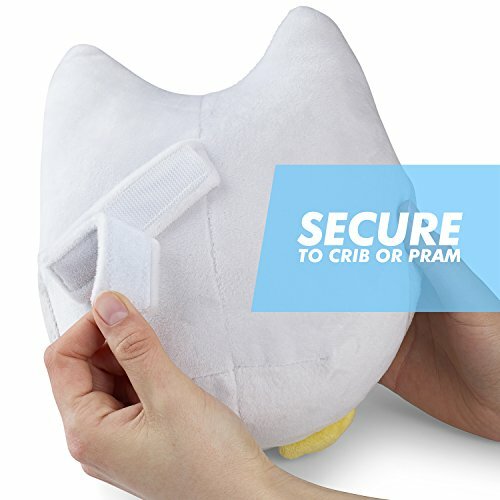 Whether it’s a walk in the park, or a road trip to grandma’s or even tummy time, it will be a favorite item that you and your adorable child will want to take with you everywhere as a soft and furry friend. GIVE “THE FAVORITE BABY SHOWER” GIFT! 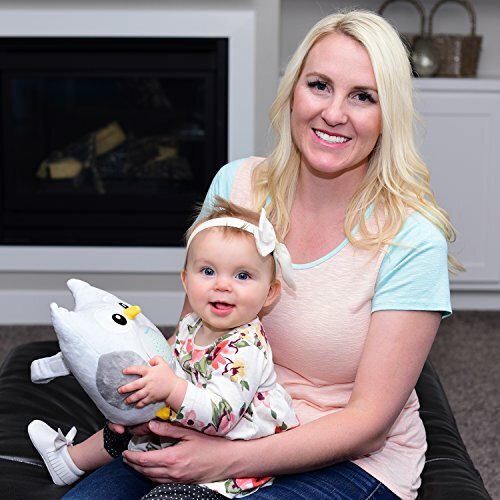 If you are looking for the ultimate baby shower gift that is sure to get a lot of good attention, then we highly recommend our Bubzi Co Soothing Sleep Owl to do the job. Not only is it cute, soft, and cuddly, but it also does a remarkable job of soothing babies to sleep. Plus, it includes FREE AAA batteries, so the new mom has everything they need to use it immediately.